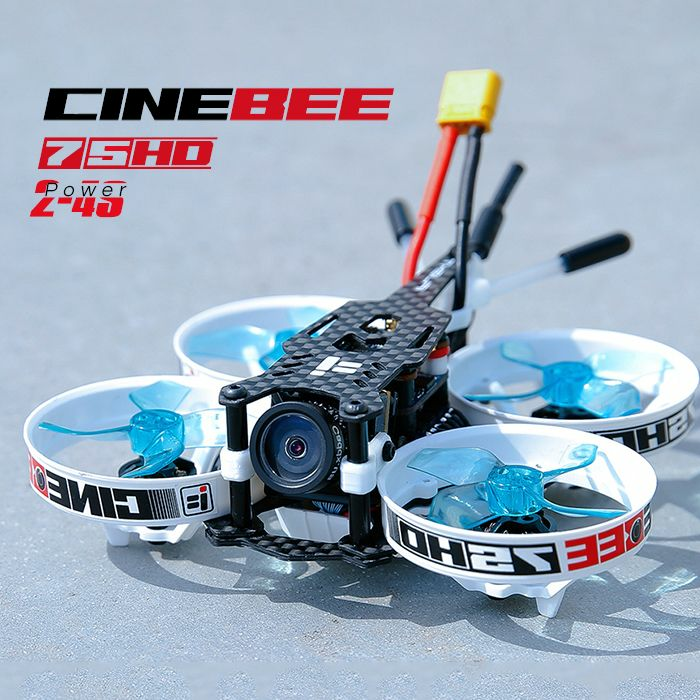 Cinebee 75HD uses a combination of carbon, plastic, and TPU to have a rigid bottom plate that doesn't oscillate, with still crash resistant abilities and integrated prop guards giving the whole frame strength. 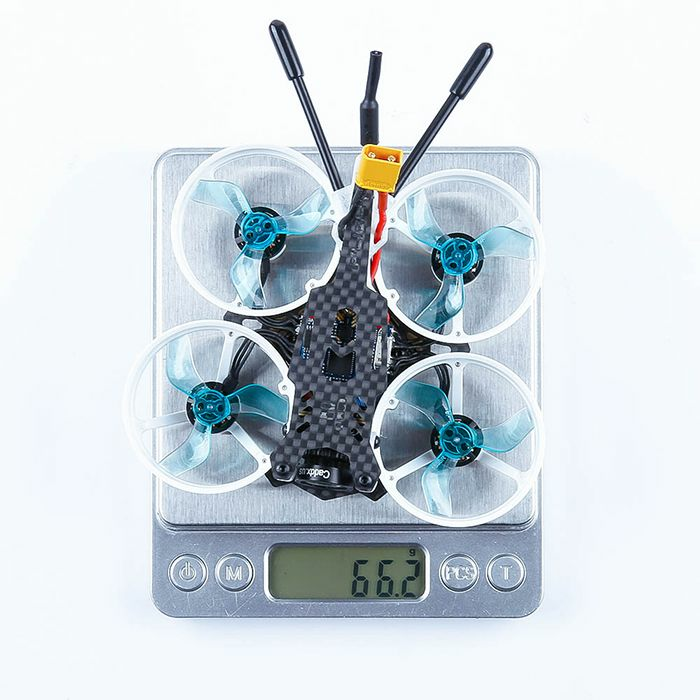 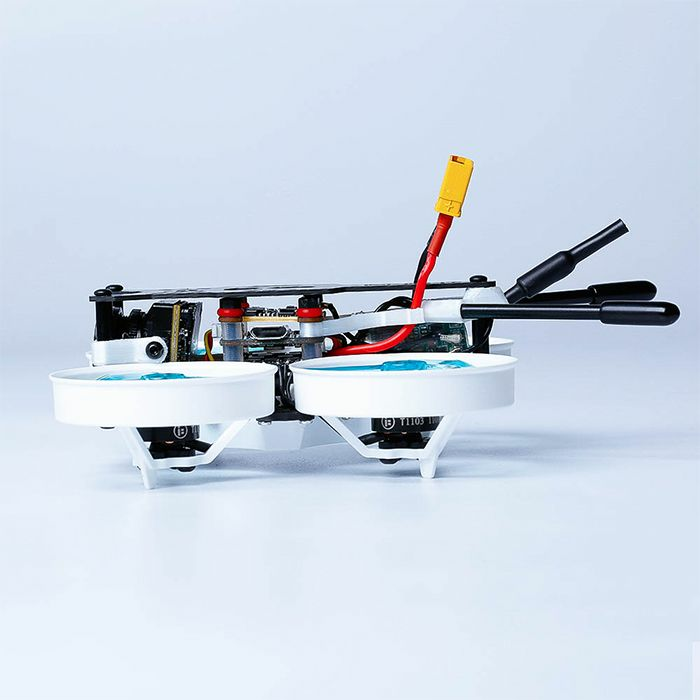 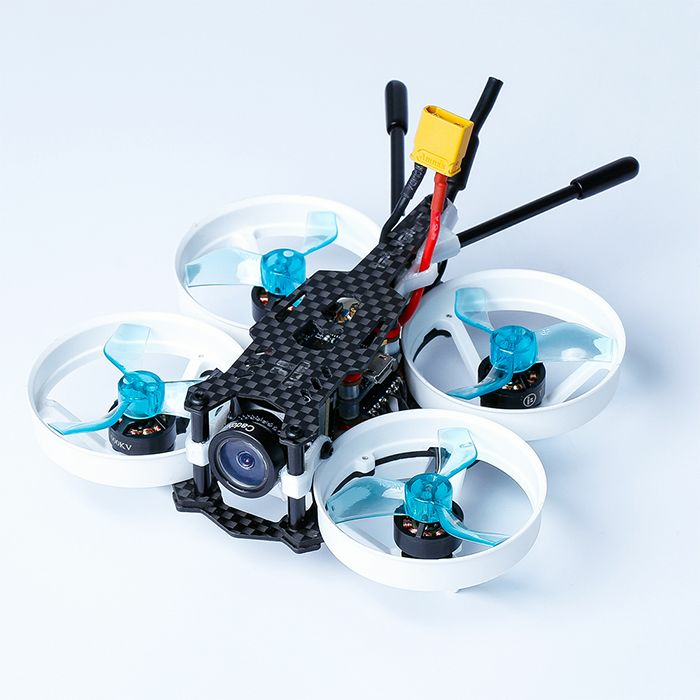 The stack is soft-mounted, the cam is soft-mounted, the motors run smooth - keep your props in a good condition, and you won't have to worry about jello! 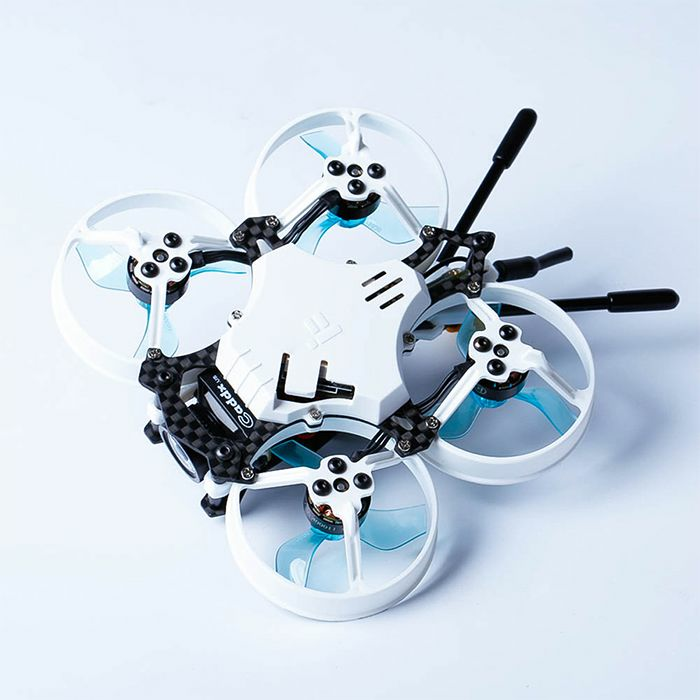 -Gemfan for general use, durable prop, crash resistant! -HQ for video recording, JELLOFREE, better throttle management, NOT crash resistant!